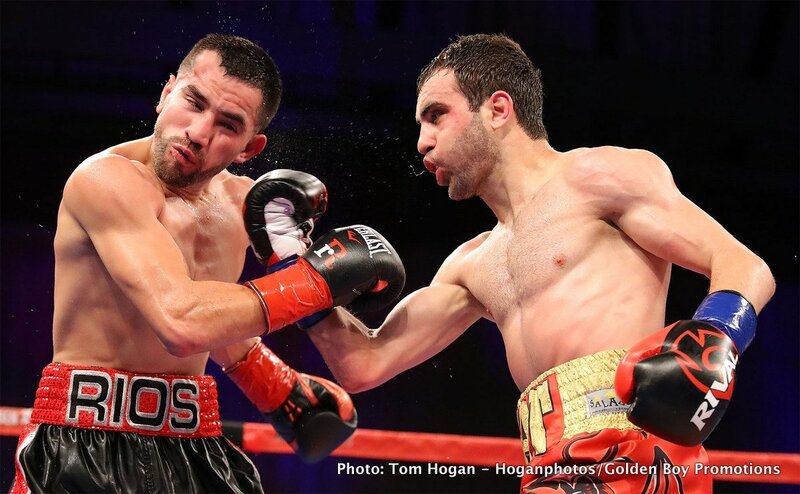 In the co-main event, welterweight prospect Alexis “Lex” Rocha (11-0, 8 KOs) once again exceeded expectations as he destroyed Miguel Dumas (10-2, 7 KOs) in the first round of a scheduled eight-round affair to capture the WBC Continental Americas Welterweight Title. Rocha, of Santa Ana, Calif., wasted no time in measuring his opponent, pushing the native of Tijuana, Mexico back with hard shots to the body. Rocha also mixed up the speed with which he threw his punches, tapping Dumas with slower shots before landing a quick and hard right uppercut that dropped Dumas immediately. Upon getting up, Dumas was greeted with a fight-finishing combination that ended matters then and there. Maricela “La Diva” Cornejo (10-3, 2 KOs) scored a fourth-round technical knockout victory against Lisa Garland (15-10, 8 KOs) in tonight’s televised swing bout that was originally scheduled for six rounds in the super middleweight division. 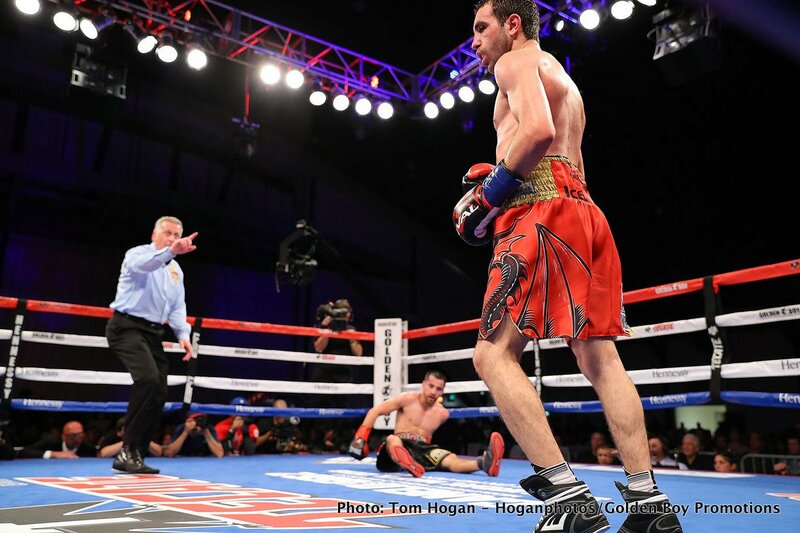 Cornejo overwhelmed Garland in each round to eventually force the referee to end the fight at 1:09 of the fourth round. 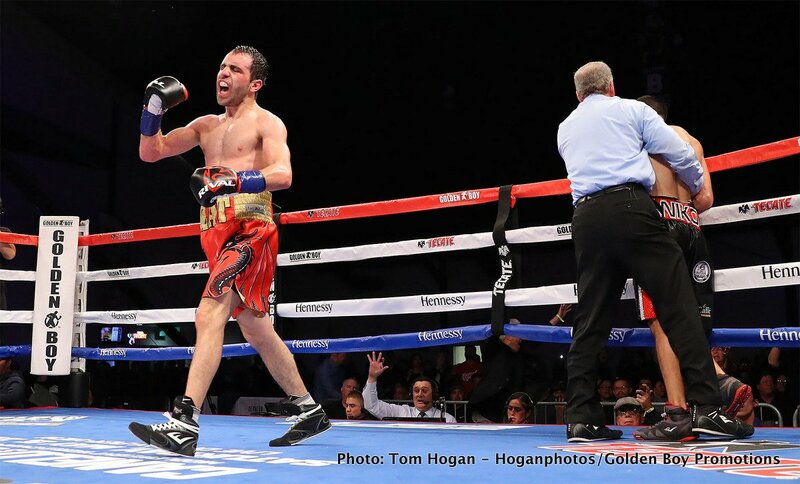 Marvin Cabrera (7-0, 5 KOs), the rising middleweight prospect who is trained by former world champion Daniel Ponce De Leon, opened the night of action with an eight-round unanimous decision victory against Mexican pugilist Sergio Gonzalez (6-5, 2 KOs). During the fight, the men traded knockdowns: Cabrera was dropped in the second round and Gonzalez was dropped in the fourth. Nevertheless, Cabrera prevailed with scores of 79-72, 78-72, and 78-72. Irish welterweight prospect Aaron “Silencer” McKenna (1-0) was originally scheduled to take part in tonight’s event. But due to falsification of documents on the part of his opponent, Adolfo Caro (0-1), the California State Athletic Commission decided that the fight would not take place. 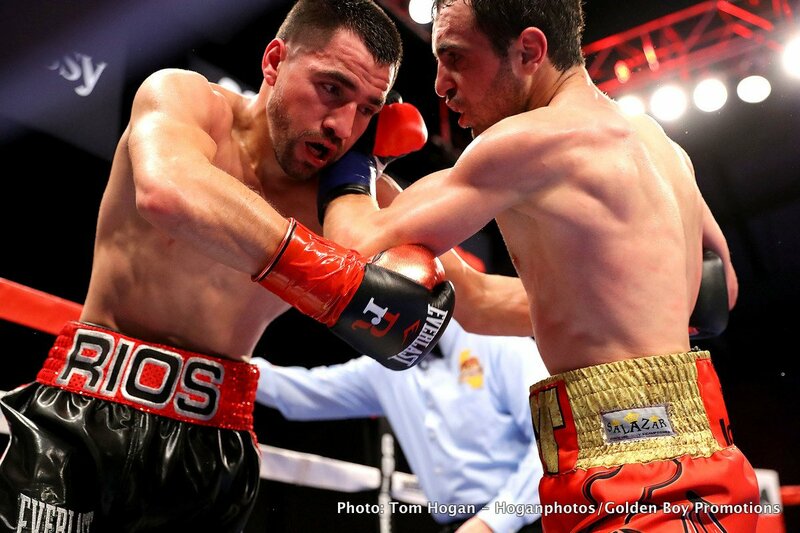 Rios vs. Hovhannisyan was a 10-round fight for the WBC Continental Americas Super Bantamweight Title presented by Golden Boy Promotions. The event was sponsored by Tecate, “THE OFFICIAL BEER OF BOXING” and Hennessy, “Never Stop, Never Settle.” The the event took place on Friday, March 9, 2018 at The Hangar at The OC Fair and Event Center in Costa Mesa, Calif.